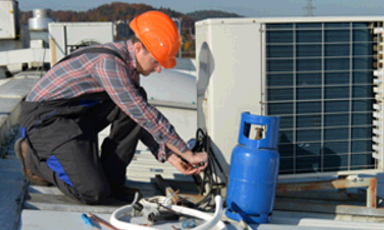 With a combined experience of over 30 years, North Shore Heating & Cooling has been providing affordable HVAC services. We also offer a 24 hour emergency service and our staffs are courteous, knowledgeable, trustworthy and highly trained. We specialize in New Construction, Oil and Gas, Replacements, Retrofit and more. Want to beat the heat this summer without ending up with an astronomical power bill? Make sure your HVAC systems are running in tiptop shape with services from North Shore Heating & Cooling, LLC in Duluth, MN. Air Conditioning Systems Air Exchangers, Handlers, and Cleaners Air Purification Systems Boilers Coils Domestic Water Storage Tanks Furnaces Heat Pumps Heating Systems High Efficiency Furnaces Humidifiers Mini Split Systems Refrigeration Systems Thermostat Controls Water Heaters Whether you need repairs for your gas, geothermal, or oil HVAC equipment, you can count on the team at North Shore Heating & Cooling, LLC. All of our new and used equipment come with guarantees and warranties.